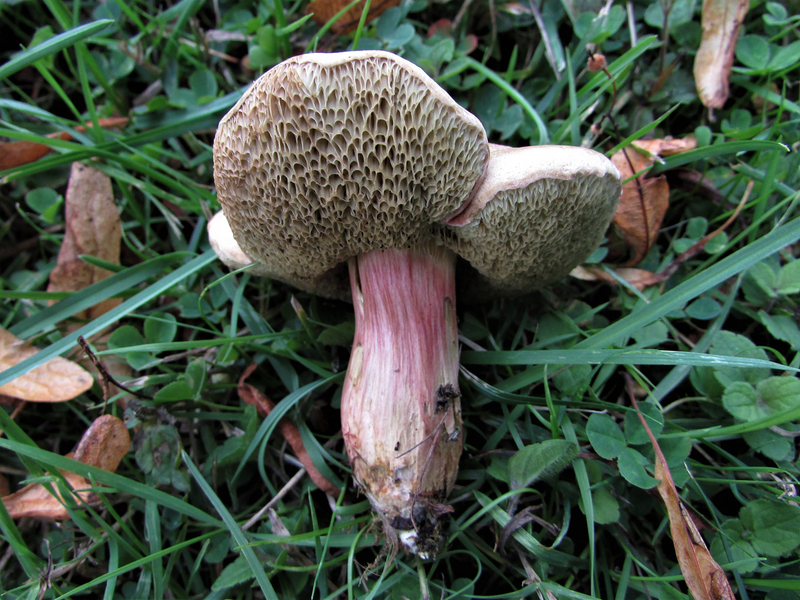 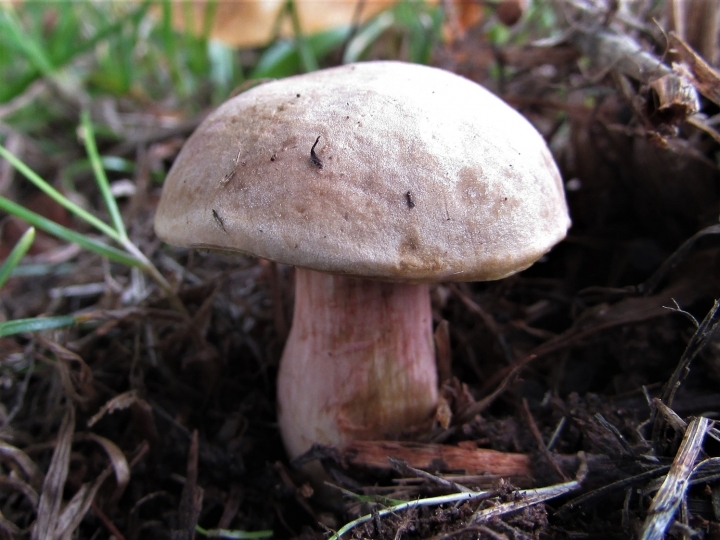 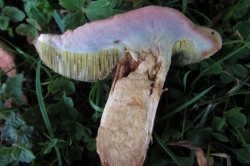 The family name, Hortiboletus, refers to the latin hortus meaning garden where the bubalinus can often be found growing with Poplar, Populus or Lime, Tilia. 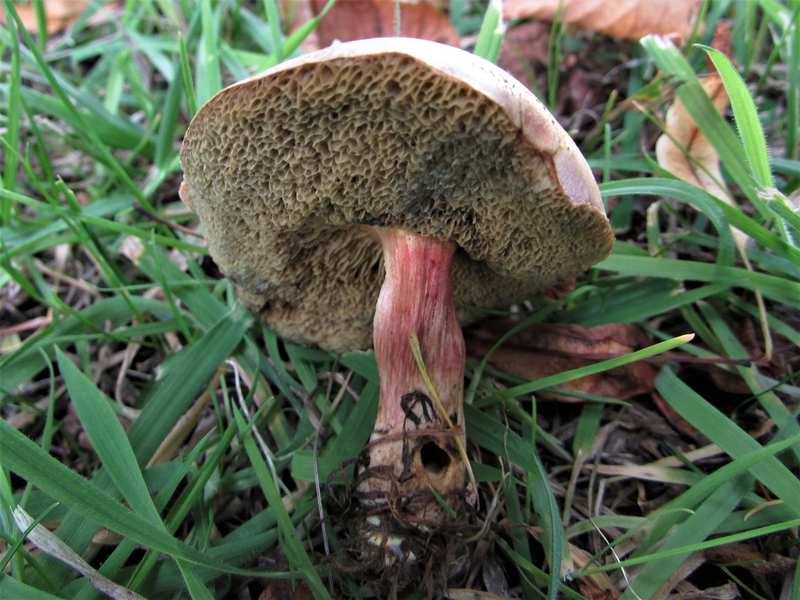 Pale brown with slight red or yellow hues, lighter towards the edge. 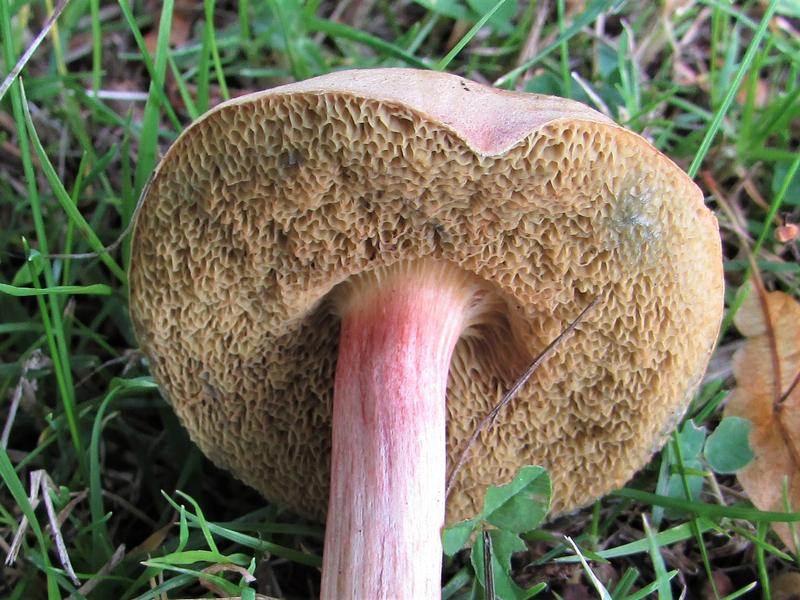 Starts of rounded but becoming flatter and more uneven with age. 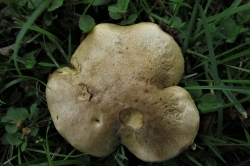 Yellow to pale yellow sometimes with olivaceous hints. 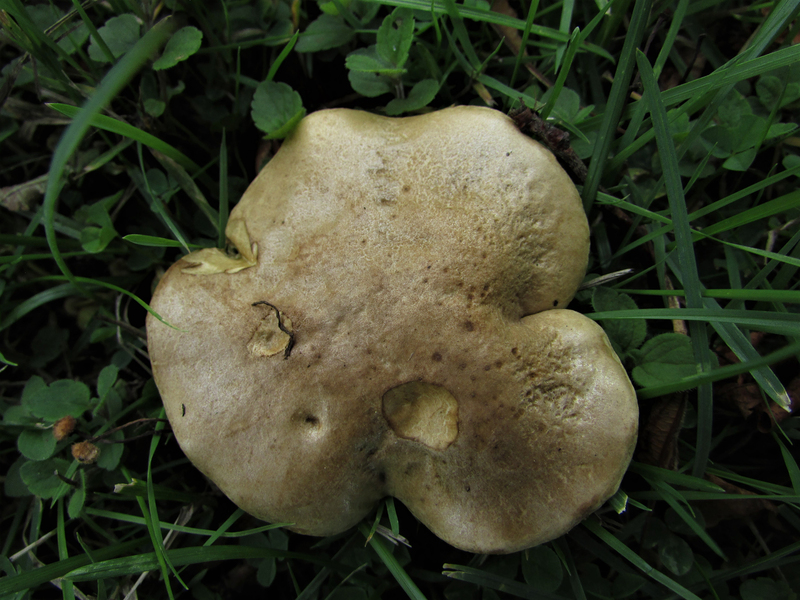 Angular not round and bruising blue/green. 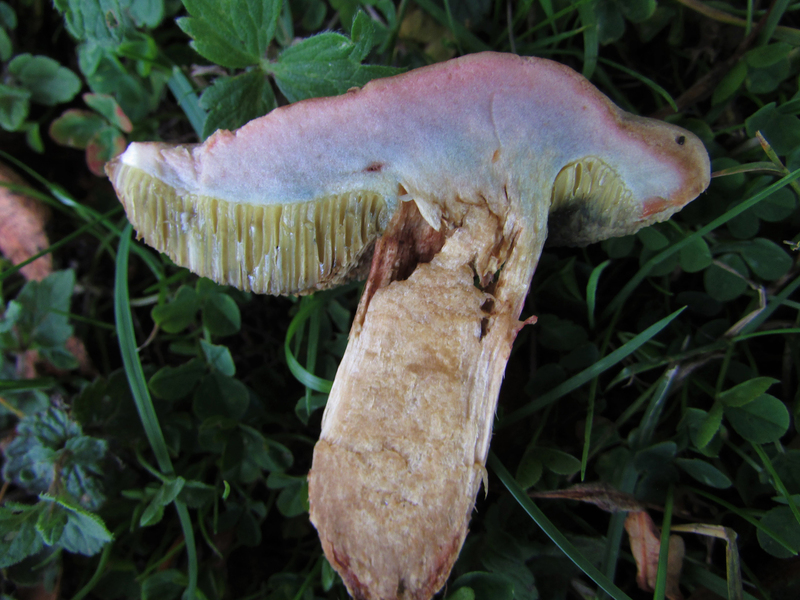 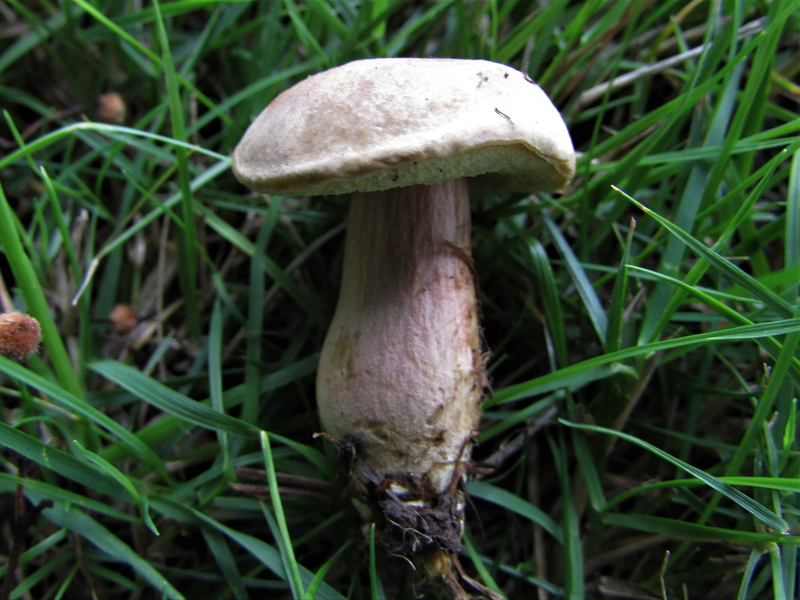 Fairly thin for a Bolete, pale background covered in vertical red ‘fibres’. 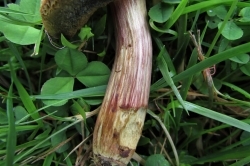 Off white/yellow in the stem. 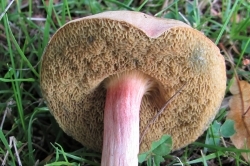 White in the cap staining pink under the cuticle and blue above the pores. 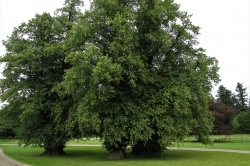 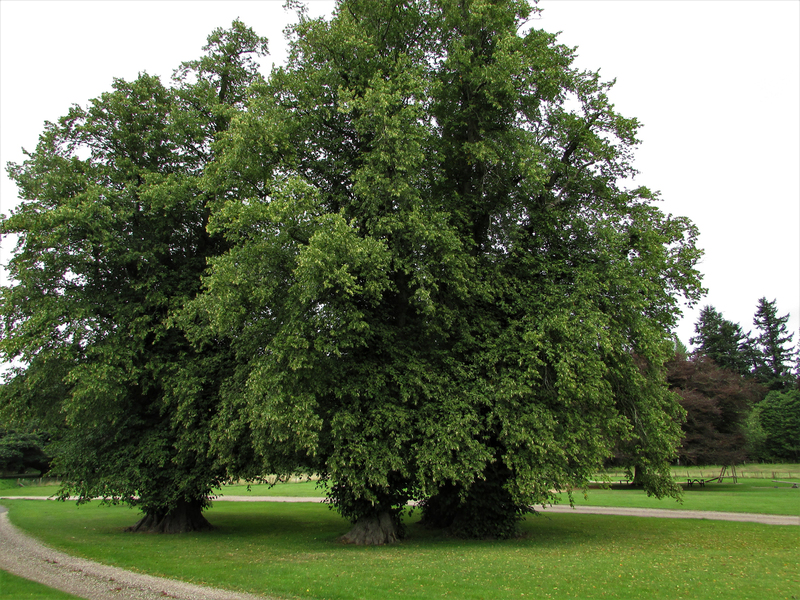 Often in parks, gardens and urban environments under lime or poplar. 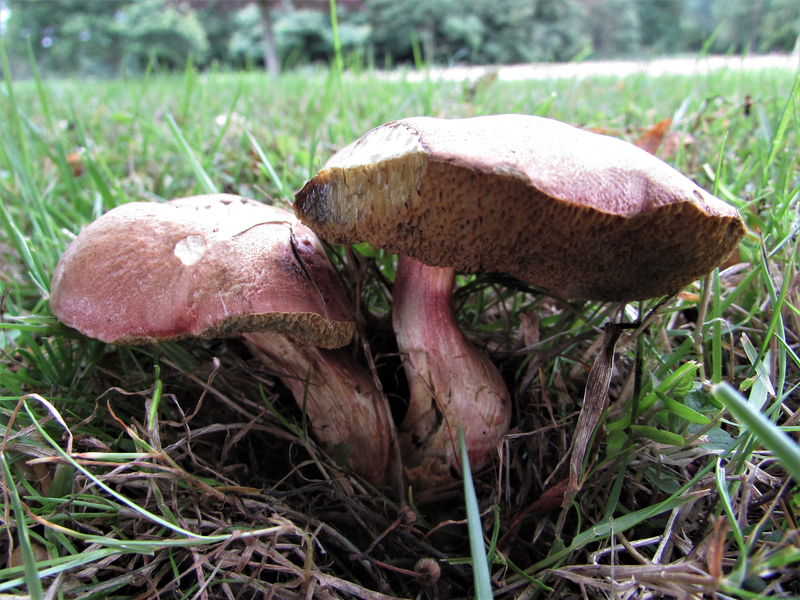 Other Boletes but none of the poisonous varieties. 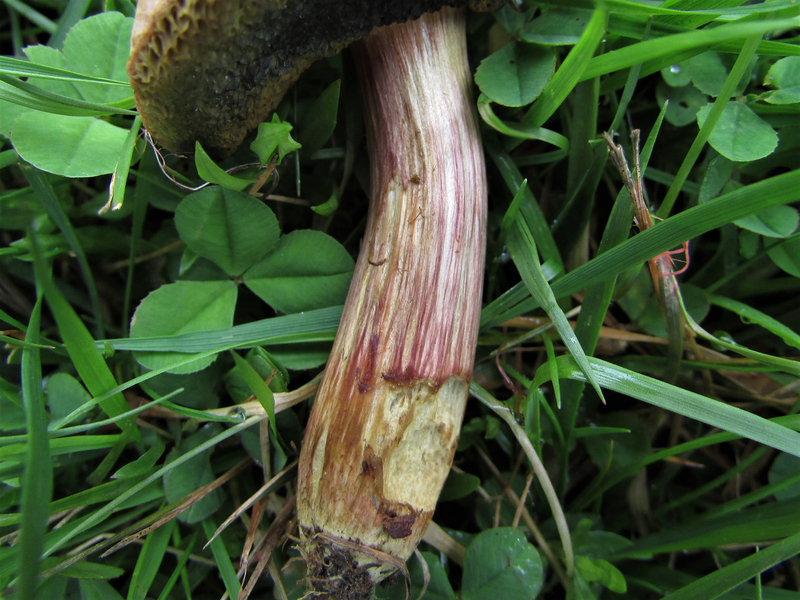 Not reported much before 2000 but becoming more common or more often reported. 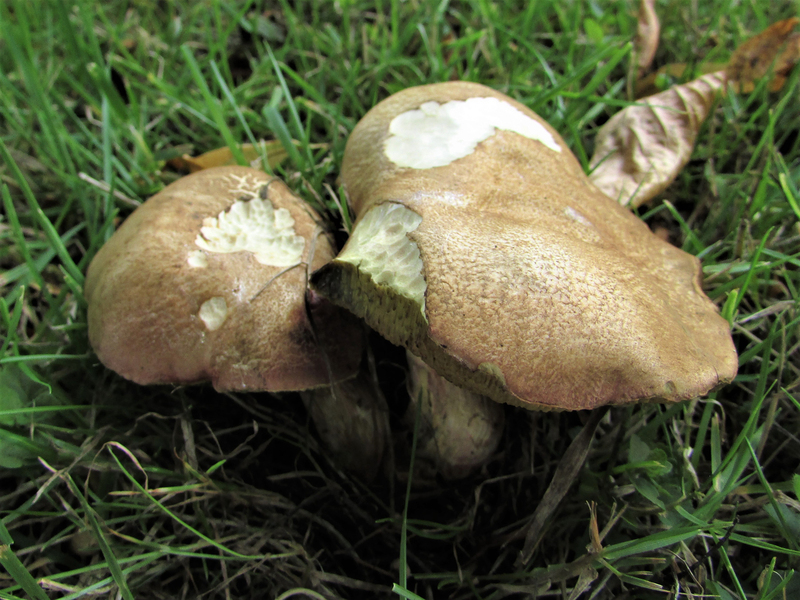 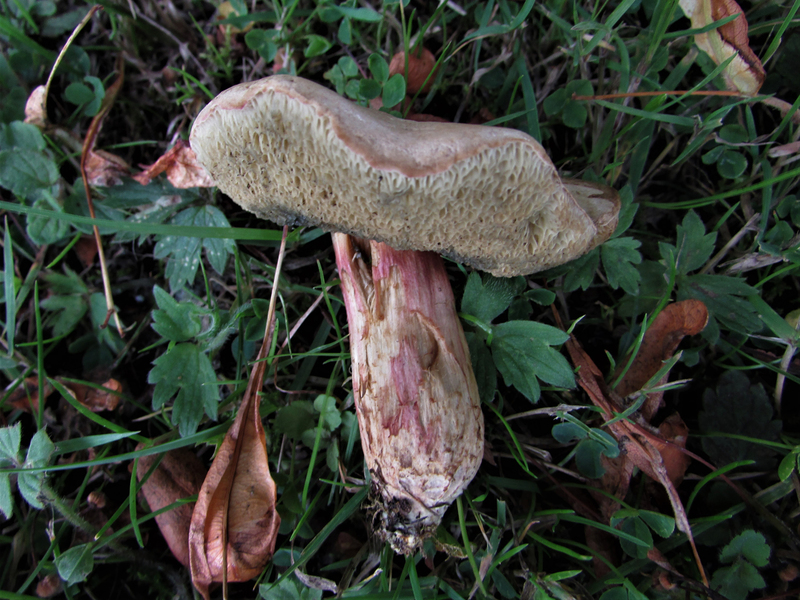 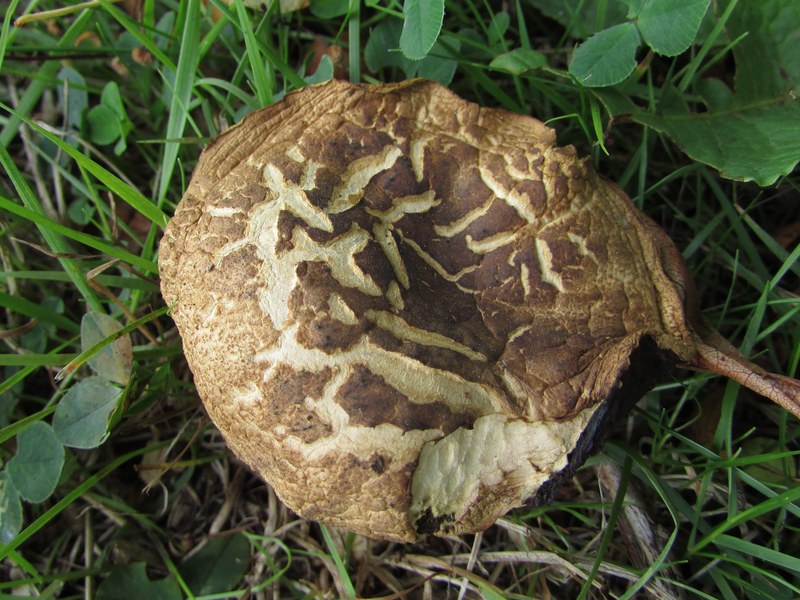 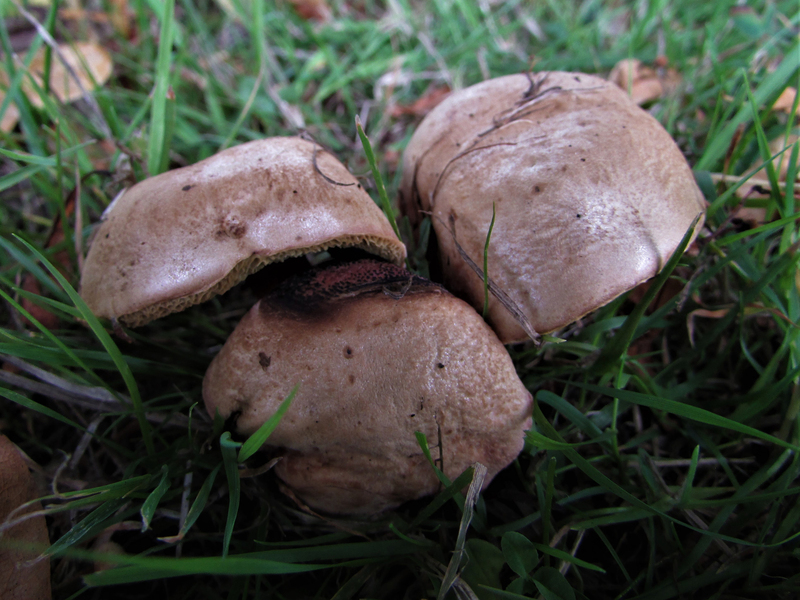 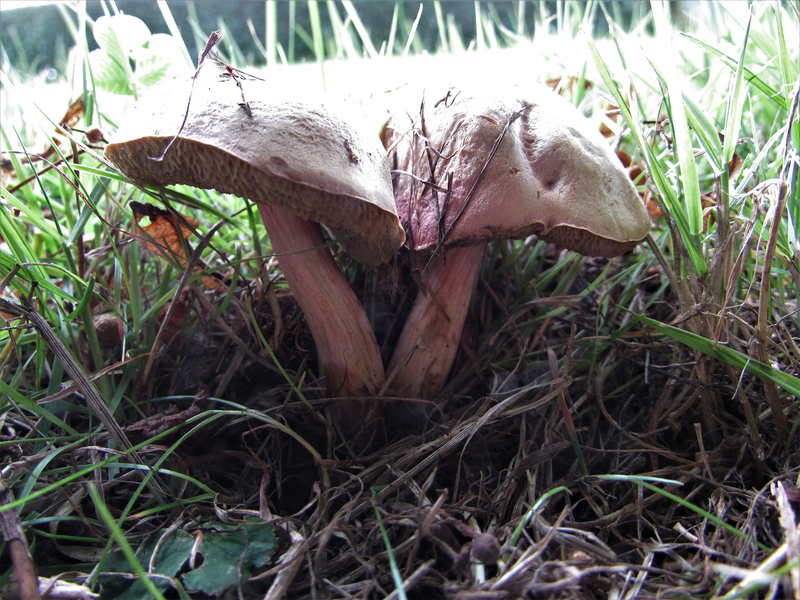 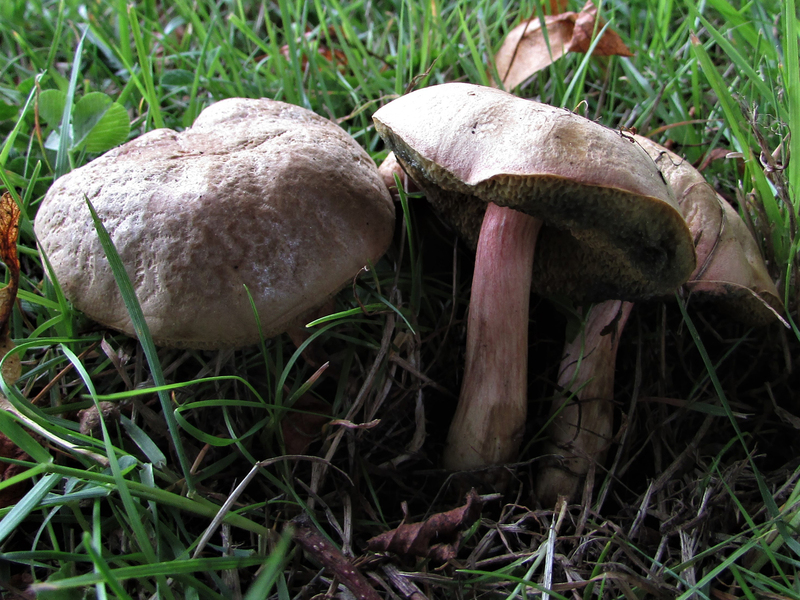 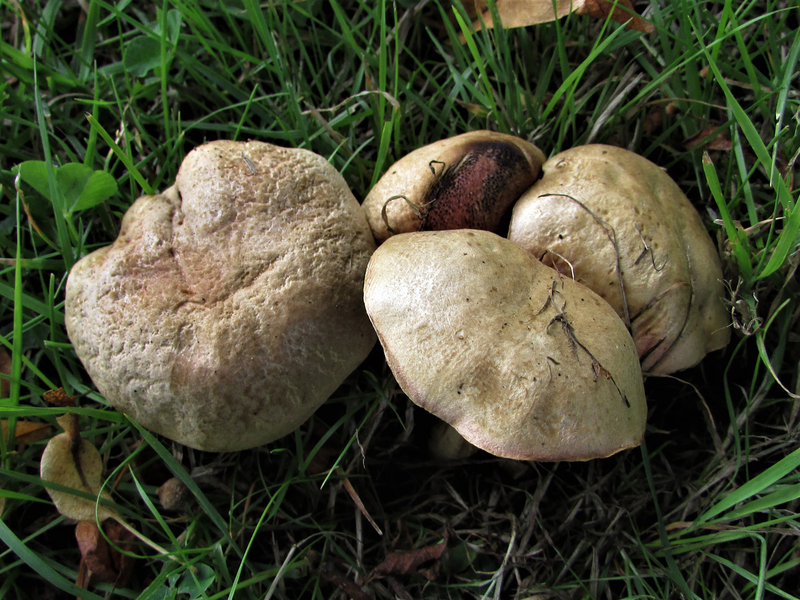 Was Boletus bubalinus then becoming xerocomus then xerocomellus before, for now anyway, settling with Hortiboletus.